Jessica Simpson is the operations manager for Linx Technologies in Merlin, Oregon. Jessica Simpson already had a bachelor’s degree, but when she needed additional training in a new career field, she signed up for classes at Rogue Community College. The community college first helped Simpson find her path a decade earlier. 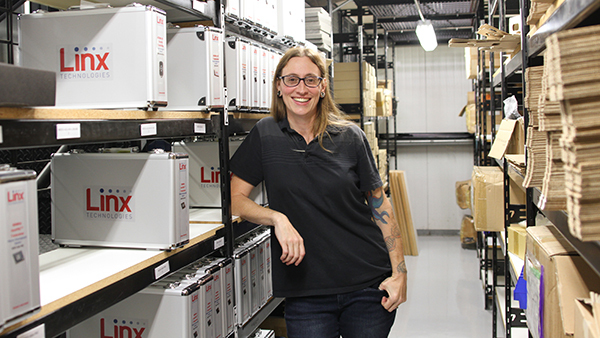 She took a job overseeing production and the warehouse for Linx Technologies, a company that designs and manufactures wireless components including antennas, connectors and remote controls. In her new position, Simpson wanted to know more about electronics so she could keep pace with the company’s engineers. “Sometimes they like to talk over my head, and I don’t like that,” Simpson said. She appreciates the community college’s small class sizes and its dedicated, knowledgeable and caring instructors. 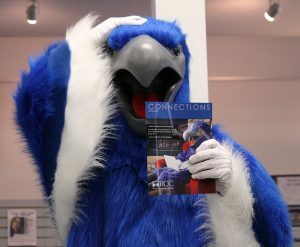 For those considering their next step, RCC has advising and career services staff in both Jackson and Josephine counties who can help students find their path. “Even if you don’t know what you want to do, there’s somebody there who will help you figure it out,” Simpson said.